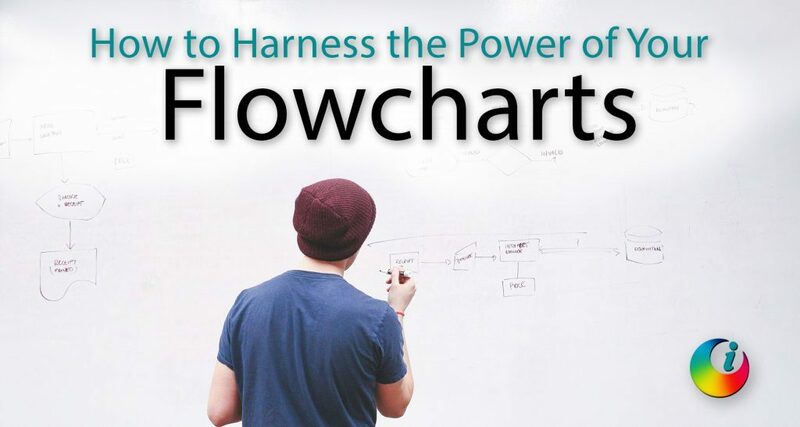 What’s the best program for creating Organisational Charts & Flow diagrams? One of my favourite customers called me in yesterday with a problem. They have to produce a diagram which shows their customer how the documentation created links together as a series of text boxes with hyperlinks to SharePoint files. However, there are a lot of items and when printing this on an A3 piece of paper, the writing in the boxes is too small for the customer to read. It’s possible to zoom in if viewing online, but on paper (and this is a paper viewing customer) it’s just not easy to see. The boxes she’s created also move all over the place when she tries to make changes. Just one look told me what the problem was – my customer is using the wrong tool for the job. Microsoft Office has got great SmartArt which can help you produce a organisational charts, but when you want to do something more complex, you need to use a program like Microsoft Visio. Visio allows you to create and customise professional-looking diagrams easily, dragging and dropping shapes onto the page and joining them with connectors. You can choose shapes from a range of stencils giving you choices of network diagrams, manufacturing flow diagrams, office or home floorplans, electrical diagrams, traffic flow diagrams and more. If you need to create business process or systems that cross organisational departments, this is the tool to do it with. Whatever you need to make a diagram to show, chances are that Visio will cover it. If you want more information about using Microsoft Visio to get your diagrams done, or if you manage your diagrams using Microsoft Word or Microsoft PowerPoint but want some guidance, we run regular workshops and training courses, both Classroom based and Live Online by request.